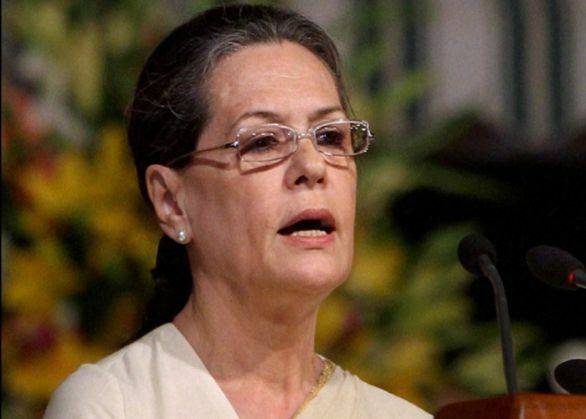 Congress president Sonia Gandhi will meet President Pranab Mukherjee on 2 November to draw his attention to the issue of growing intolerance in the country. Gandhi is scheduled to meet the President at around 6:30 pm. The PTI reported that the Congress chief, along with senior leaders and MPs, will tell the President about the growing concern over the issue and urge him to advice the government to act firmly. Members of the Congress party are also expected to take out a march to the Rashtrapati Bhavan. Gandhi had earlier expressed her concern over rising intolerance in India and had stated she will fight "diabolical design" of divisive forces to spread hatred. "Organisations and people of a particular ideology are spreading it (hate) to divide people. We are under no illusion that it is an accident. The hate, violence and petty mindedness is being unleashed as part of a pre-determined plan. We will not allow such a diabolical design to succeed, It will shake country's foundations. We are ready to fight the battle," she said.